The fire danger has been set to low on Vashon Island. We have seen enough additional rainfall during September and October to lower the fire safety level to LOW. 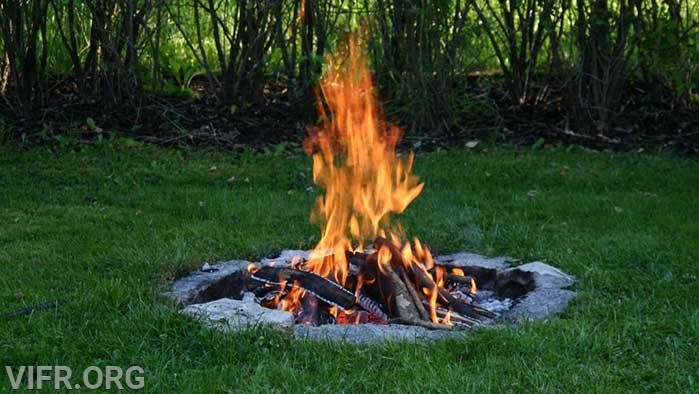 Burn permits are still required to be maintained on the property where burning is to occur. They can be found for free to download on VIFR.org under "Fire Safety". While recreation and residential burning is allowed, it is never acceptable to burn garbage or treated lumber. wood fence. The fire must not include materials hauled from other properties. obnoxious odors. Petroleum products MAY NOT be used to start or intensify the fire. 4. The area around the pile must be cleared. Burn barrels are prohibited for all uses in Washington State. neighboring homes. A fan may be used to insure a hot clean burning fire. designated areas or on private property for cooking, pleasure or ceremonial purposes. that causes damage to property or business, or that causes a nuisance. 11. Any person responsible for unlawful odor burning must immediately extinguish the fire. 12. Any person affected by outdoor burning may file a complaint by contacting VIFR or Puget Sound Clean Air Agency. 13. VIFR is authorized to inspect the burning site at any time while burning is being conducted without notification.